365 Days of Kale: Food, not pills - again! Addendum (2.28.2012) - I just found the link to the actual PhD thesis from which the data for this research publication were derived. 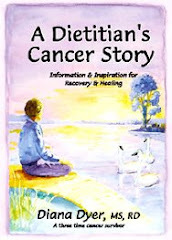 The important tidbit I gleaned from skimming through the thesis is that one serving/day of the cruciferous food consumed was enough, safe, and recommended to maintain a steady and effective level of anti-cancer molecules in the body.